Ellakajsa Nordström and Ylva Trapp have, in addition to their indiviual practices, collaborated since 2009. They create installations, sound pieces and performances in which they explore language acquisition, translatability and phenomenology. Their works exist somewhere between the digital and the physical space, where words get lost and are retold, where images multiply and project on reflective surfaces, and where signs and letters become objects to be held, touched or moved around in an ever changing attempt to communicate. Ylva is a graduate from Konstfack (The University College of Arts and Crafts) in Stockholm and from Umeå Art Academy in Sweden, and Ellakajsa graduated from Oslo Art Academy and Central Saint Martin’s in London. Their collaborative work has been exhibited at Halka Art Space and Imc 5533 in Istanbul (TR), Konsthall C in Stockholm (NO), Vandaler Kunstforening in Oslo (NO), IASPIS in Stockholm (SE) and at Künstlerhaus Vorwerk-Stift, Hamburg (DE). Francesco Kiàis is an artist, an independent art writer and curator. He is creator and director of [mind the] G.A.P. 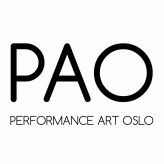 - Gathering Around Performance, a platform based in Athens dedicated to performance art. Henrik Koppen is a Bergen based artist who works with performance, video, sound/music and sculpture. He has a BA from Bergen Academy of Art and is often taking part in the activities of Performance Art Bergen. Koppen is engaged in several different collaborations with other musicians and artists such as the group HITYAMAC and the performance duo Koppen & Jorkjen. Ida Grimsgaard got her BA in scenography at Norwegian Theatre Academy in Fredrikstad, Norway. An important element in her work is the focus on a personal, physical experience. With a starting-point in the body’s memory and our emotional understanding, Ida wants to understand and communicate a language of the senses. It shouldn't be only the eyes or brain that decides, but also the physicality. followed by post graduate studies at the Dutch Art Institute in Enschede (2007). Kevin Meehan is a performance artist, theatre artist, curator, and installation designer based in Philadelphia. He is a core company member of the Obie Award winning experimental theater company New Paradise Laboratories, a Wilma Theater HotHouse Resident Artist, and one half of the performance duo Miniature Refrigerator Operator. “My work is an investigation of the provenance and social impact of American pop-consumerism; how deep are its roots and how far its reach? My aim is to conjure, jostle, disrupt, and instigate memory. I like blurry areas.” He holds a BFA from Adelphi University, has studied with London International School of Performing Arts in Berlin, and most recently with Johannes Deimling in PAS#50 at PAO Festival 2016. As an artist I am on my four. I am next to the ground. I see the surfaces from very close distance, the small particles and the space between them. The main materials in my practise are body and performance. Lately I have been drawn to the questions of duration, different time scales of human body, performance, and geological time. Mia Øquist lives and works as a artist in Bergen, focusing on performance, text and drawing. In many of her works, she explores the human body in social situations, conditions and spaces. In her performances the body is used as a tool to make images and study social settings in different landscapes. As an active member of Performance Art Bergen the artist have been participating in performance sessions - improvisation in various urban landscapes for many years. Shannon Cochrane is a Toronto-based performance artist. Her work has been presented across Canada and in over 18 countries around the world. Her work constructs situations and deconstructs images that look critically at the formal presentation of art action, authorship and repetition, often using humour as a strategy. She is the Director of FADO Performance Art Centre, a Toronto-based artist-run center established in 1993 that provides a platform for international and Canadian performance artists. She is a co-founding member, curator and organizer of the 7a*11d International Festival of Performance Art, Toronto’s live art biennial established in 1997. Weronika M. Lewandowska - slam poet, performer, producer of VJs meeting, doctor of culture studies, as well as curator of independent events of new media art (BYOB, Share Warsaw). Strongly linked to the international spoken word and poetry slam scene, she has presented her poems at the most important spoken word and poetry events in Poland and abroad: Milosz Festival in Karkow 2016, FLUPP Rio de Janeiro 2015, Festival URBAN POETRY Ryga 2015, ORDSPRAK Uppsala International Poetry Festival 2013, Spoke'N'Word on Tour in Paris, Kiev, London and Beijing 2011, Reims Slam d'Europe 2011/2013, European Slam Meeting Berlin 2009 – to name but a few. On a regular bases she leads workshops on spoken word, literary performances and trans-media digital storytelling. She is interested in light art, new media and technology, as well as new forms of narrative.